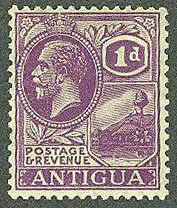 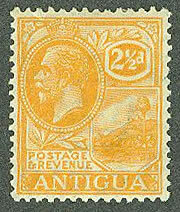 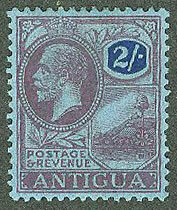 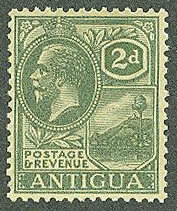 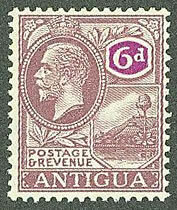 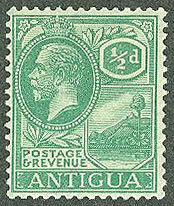 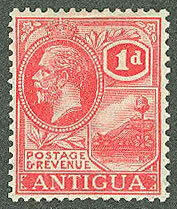 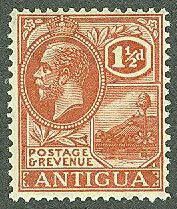 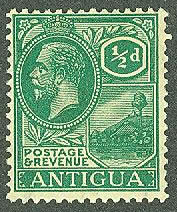 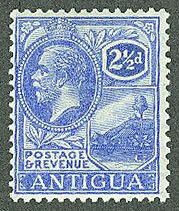 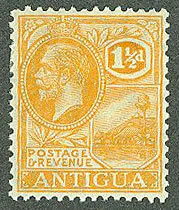 Identifying the Antigua King George V - Seal of the Colony issues is primarily a matter of determining the difference between the two watermarks, and finding the various color shades. 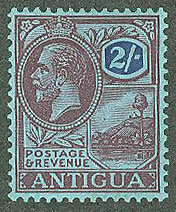 This set was in use from 1921 until it was replaced with the Tercentenary Set in 1932. The two watermarks used were the Multiple Crown CA (MCA) and Multiple Script CA (MSCA). If you can see the watermark, look for either the shape of the crown or the type of characters to determine the watermark. 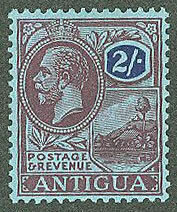 MCA has a narrow crown and CA written in a Sans-Serif font, while MSCA has a wider rounded crown with CA written in a Script. Most of the watermarks are fairly easily seen against black paper with a strong light. However, the yellow and green papers can be a little harder to view. 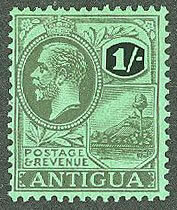 You may have to use watermark fluid to see them. 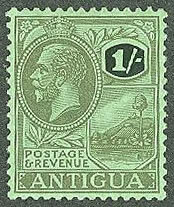 Most of the stamps were only printed on MSCA watermarked paper, so you don't have to look at the watermark for most of the values. 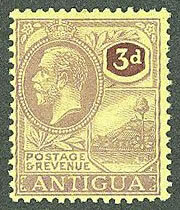 If you have trouble figuring out the yellow paper issues, please consult our Identifying KGV 3d Yellow Papers web page for illustrations of the various papers used. You might also find it is easier to compare them when viewed face down on either black or white paper with a good light source. 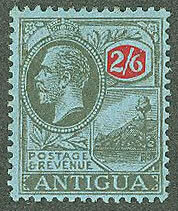 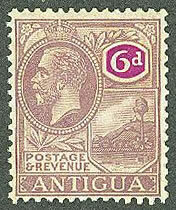 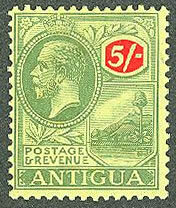 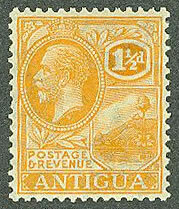 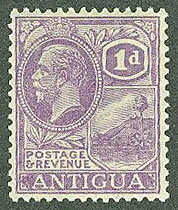 We are always interested in additional shades or more information on these stamps. Please feel free to let us know if you have anything helpful.